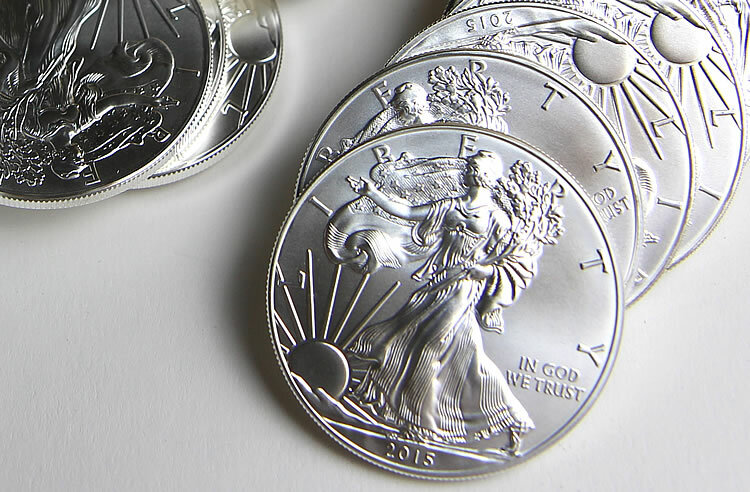 The U.S. Mint has the production capability to meet the demand for Silver Eagles, but it is unable to acquire enough planchets for that to happen. The agency has rationed sales to prevent periods of suspensions. For a second week in a row, the United States Mint is allocating more American Eagle silver bullion coins. The agency has been rationing sales of the coins since their return after temporarily selling out in July. This week’s allocation jumped 13.8% to 1,187,000 coins. Last week’s supply edged up 4.4% to 1,043,500 coins from the prior week’s amount of 970,000 coins. Weekly inventories through most of the summer sold within a few days of their release. That hasn’t been the case for three straight weeks, suggesting a dip in Silver Eagle demand at a time of year when it usually climbs. Still, sales of the bullion coins at 39,842,500 for the year continue to jog at a record, albeit slowing pace. They are 4.7% higher than a year earlier when sales reached 38,041,000 coins through Oct. 31, 2014. Last year, Silver Eagle sales ended at an annual record of 44,006,000 coins. The U.S. Mint does not sell bullion American Silver Eagles directly to the public. They are sold through a network of authorized purchasers. AP’s consist of major coin and precious metals dealers, brokerage companies, and other participating financial intermediaries. They must pay $2 more than the spot value of each coin they buy.